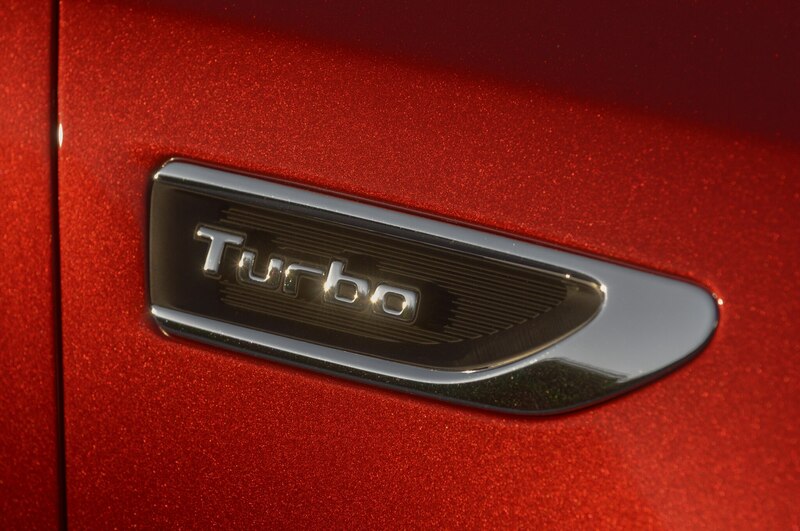 New engine meets upgraded chassis and tech. 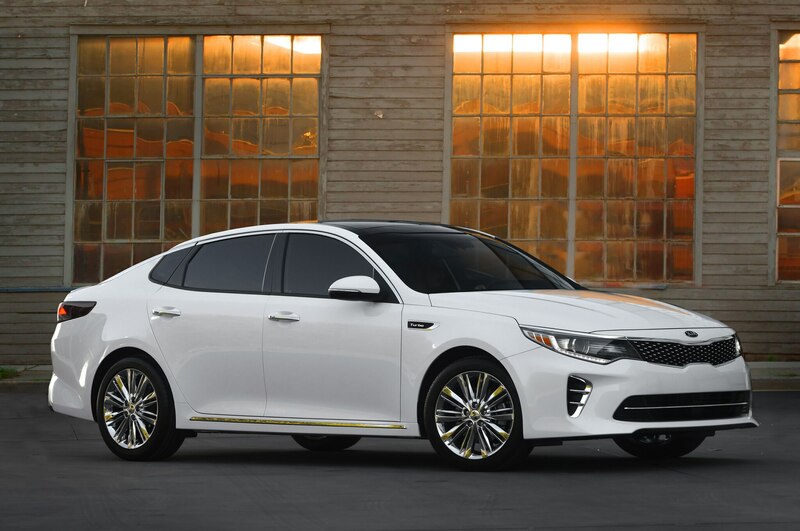 Kia has proved itself as one of the fastest improving automakers around, and it hopes to keep that train rolling with the 2016 Kia Optima. 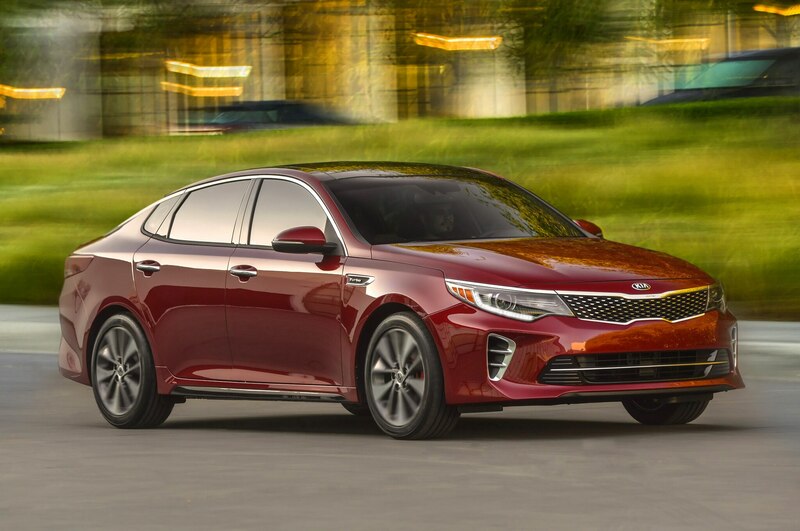 With a new fuel-efficient powertrain, improvements to the chassis and body structure, and a suite of upgraded technologies, the latest Optima looks to make a bigger name for itself in the mid-size sedan segment. 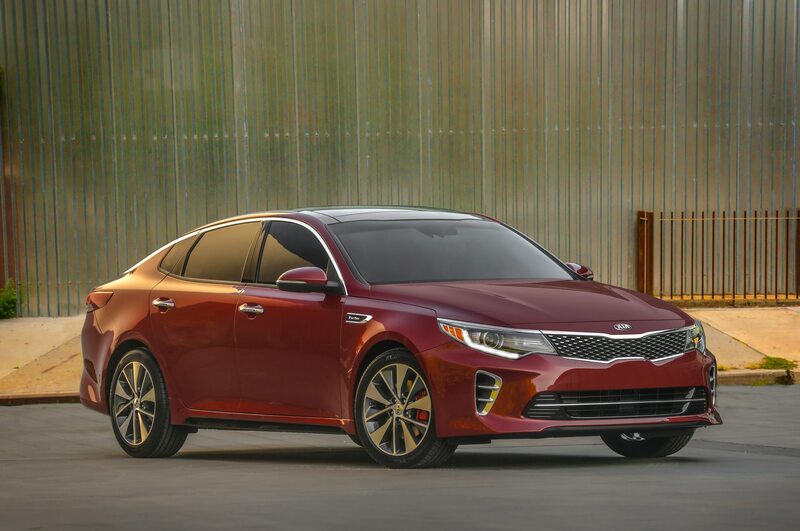 Without making any radical departures from the outgoing model, the 2016 Kia Optima has been smoothed over and refined under the eyes of designer Peter Schreyer. 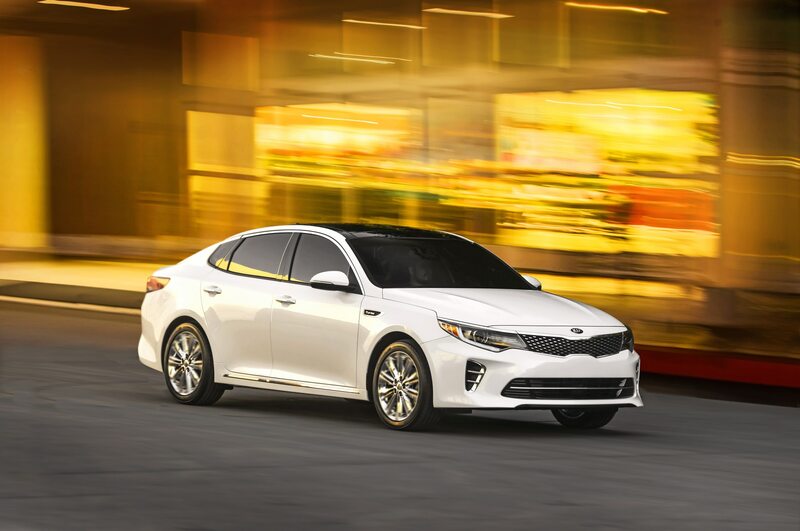 The longer and wider chassis gives the Optima a slightly larger footprint—the wheelbase grows 0.4 inches, and it is one inch wider—providing a more confident stance. 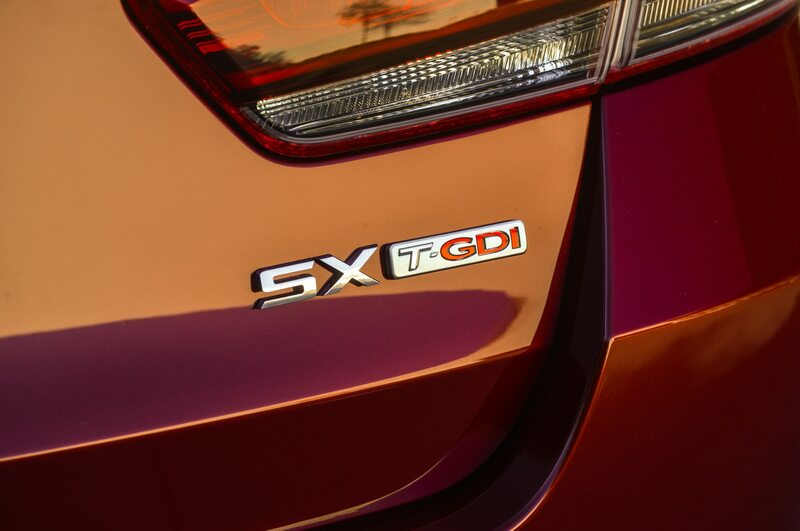 At the front end, the swept-back headlights and tiger-nose corporate grille remain. 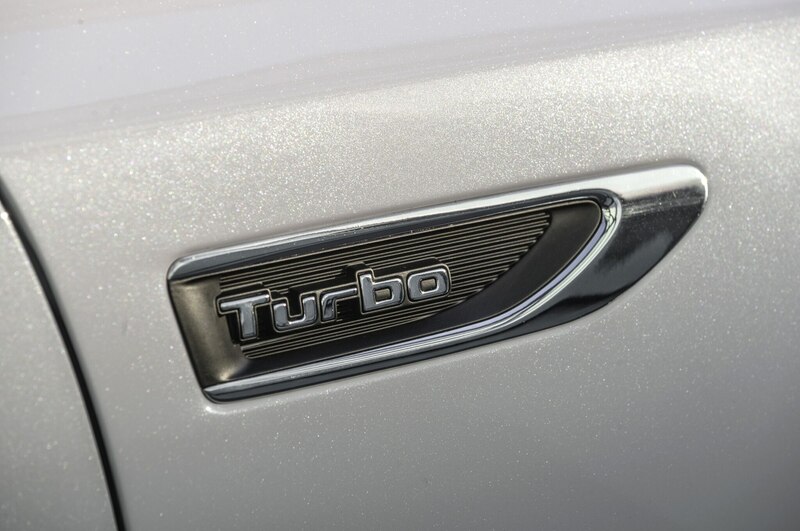 Below, deeply inset air inlets create a more aggressive appearance. 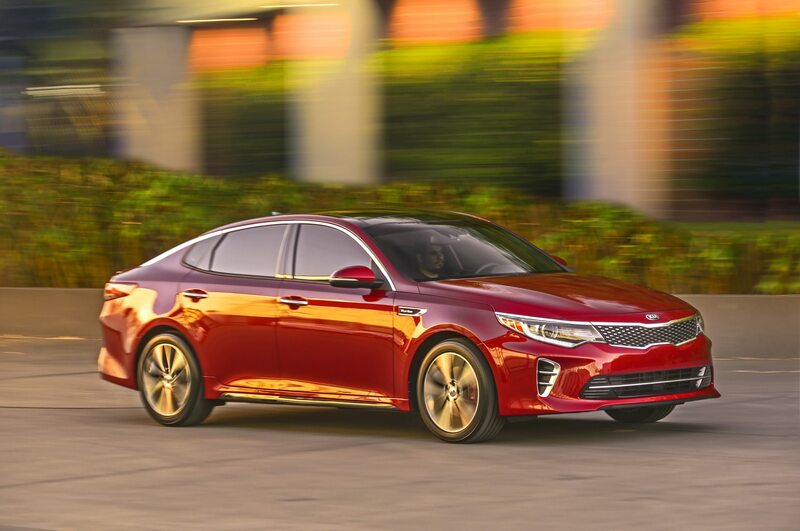 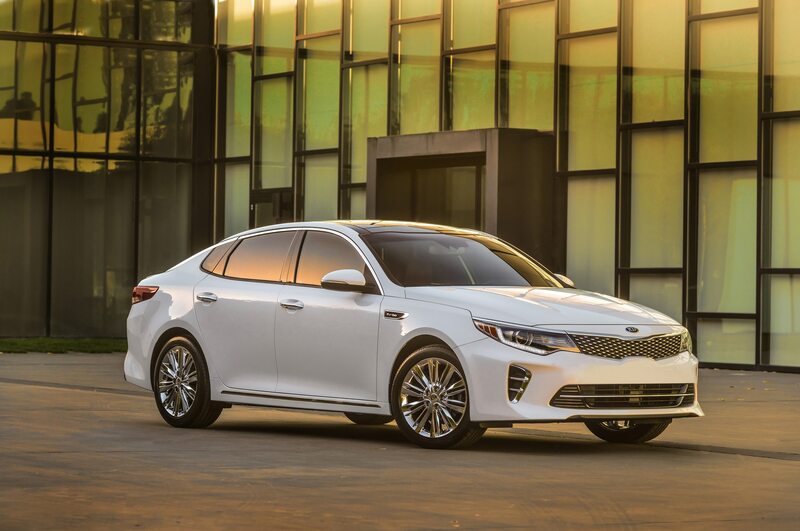 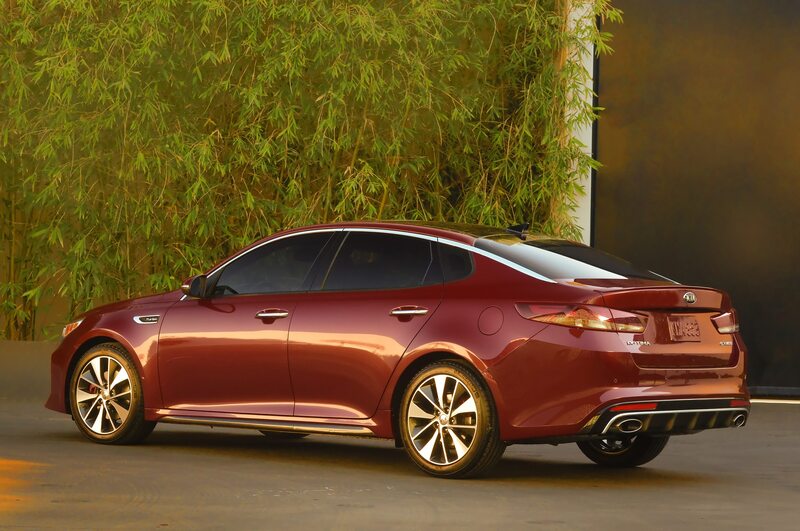 From the side, the Optima has a sleeker appearance thanks to a clean character line running along the door handles and striking 18-inch wheels, while the rear end maintains the raised decklid and large rear glass we know from the last Optima. 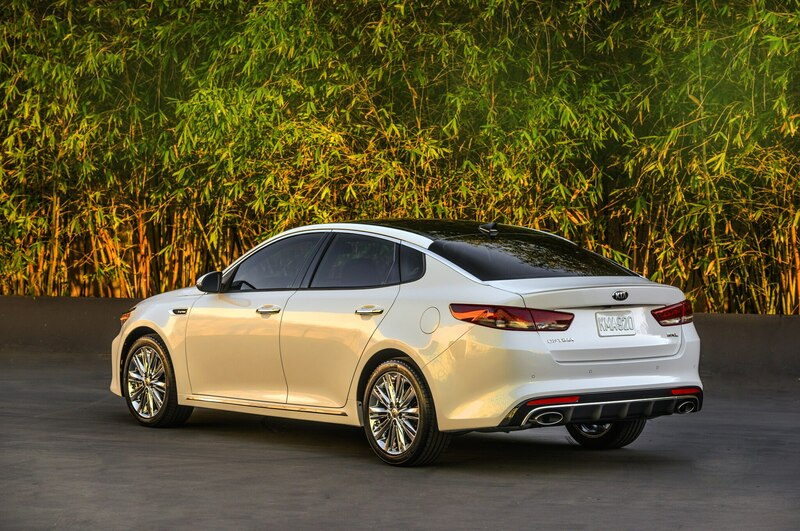 New taillights are extended to more closely resemble those on the stylish Cadenza sedan. Following in the footsteps of the larger Sorento SUV, the 2016 Kia Optima receives an upgraded interior. 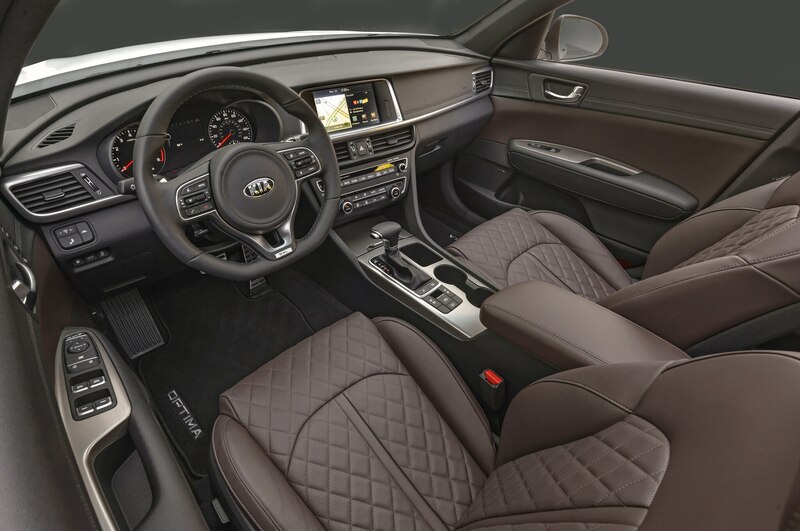 The cabin interface is now simplified for easier use and a cleaner look. 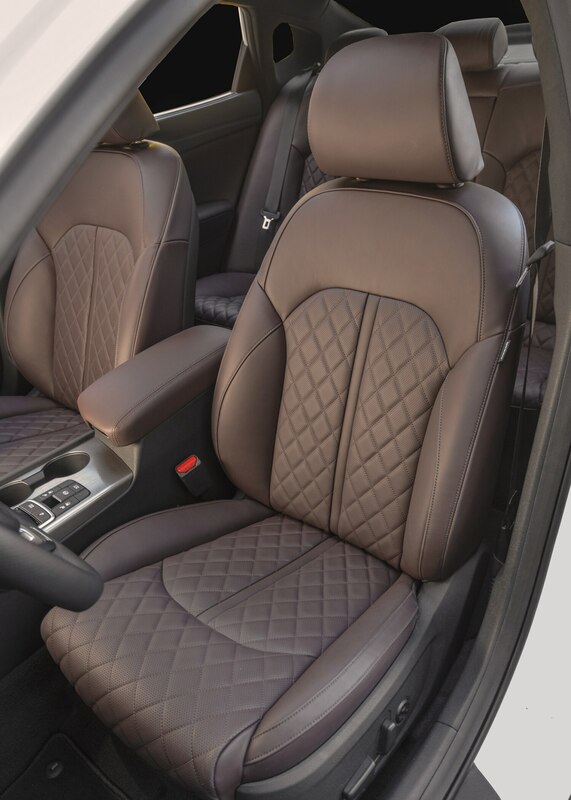 Greater use of soft-touch materials, like leather or available Nappa leather with stitching, complemented with metallic accents, cranks up the premium vibe. 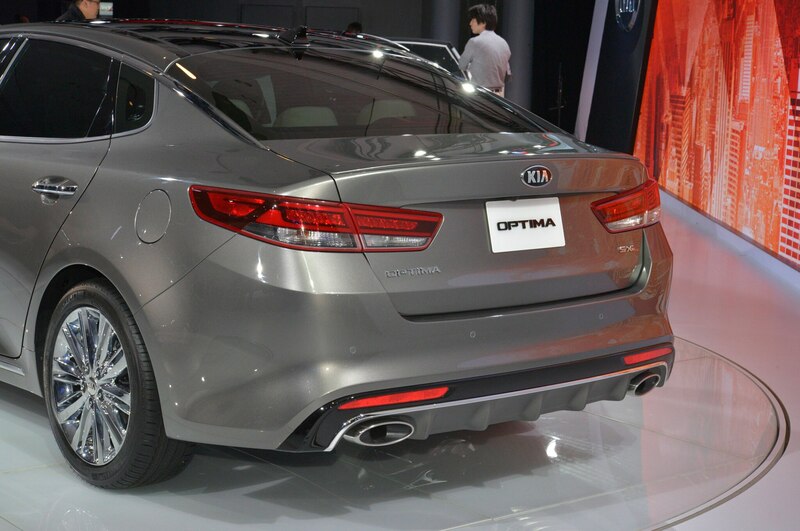 But the Optima’s improvements aren’t just limited to what you can see and touch—stiffer seat frames also reduces vibrations to passengers. 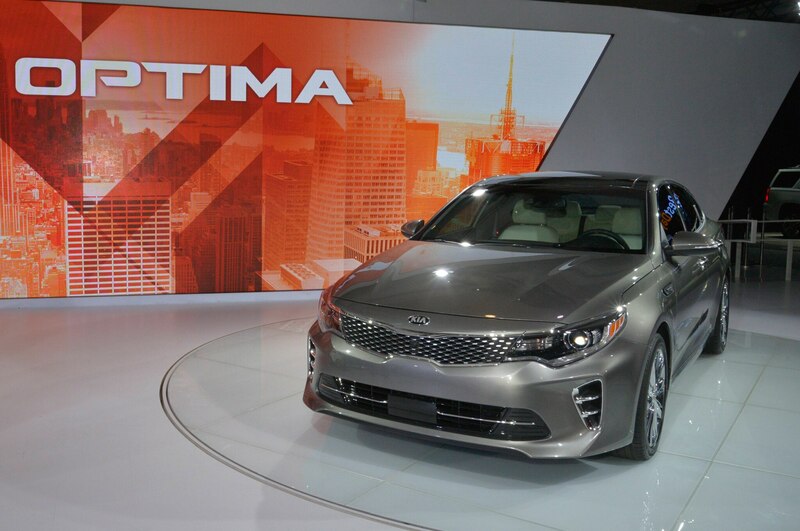 The biggest news for the 2016 Kia Optima is its new powertrain. 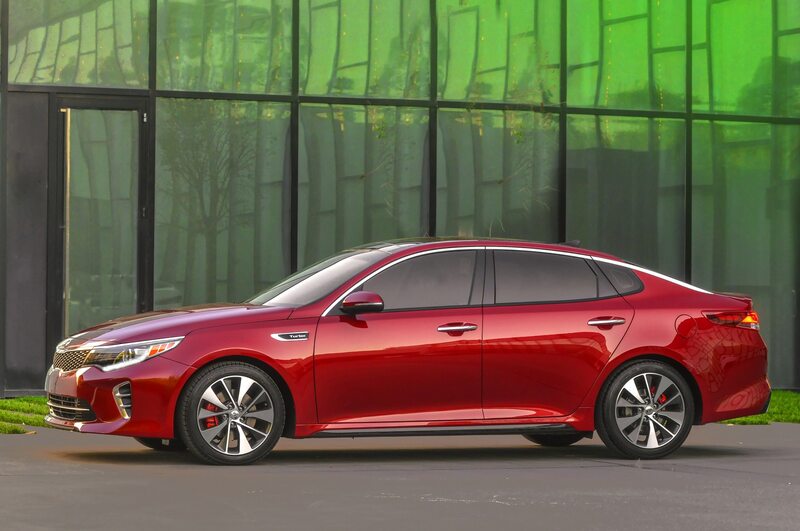 Under the hood is a 1.6-liter turbocharged four-cylinder engine, good for 178 hp and 195 lb-ft of torque, which is mated to a seven-speed dual-clutch transmission and available exclusively on the Optima LX. 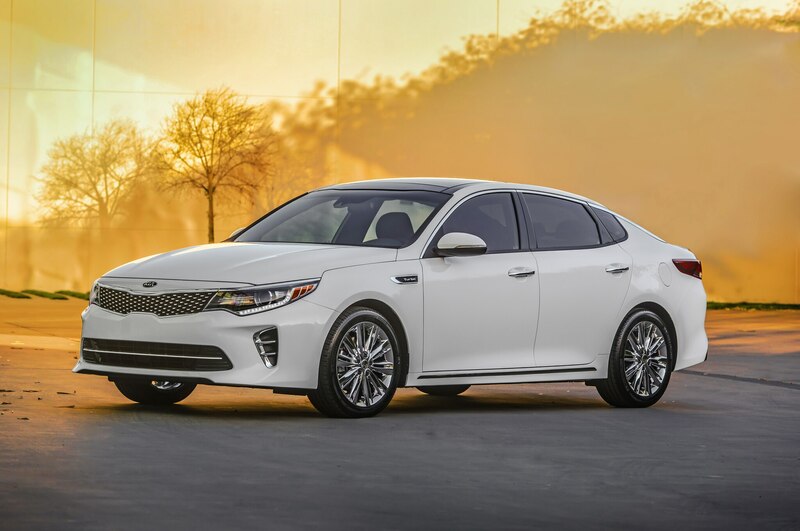 The powertrain is nabbed from the Hyundai Sonata Eco, meaning the Optima’s engine lineup now mirrors the Sonata’s exactly. 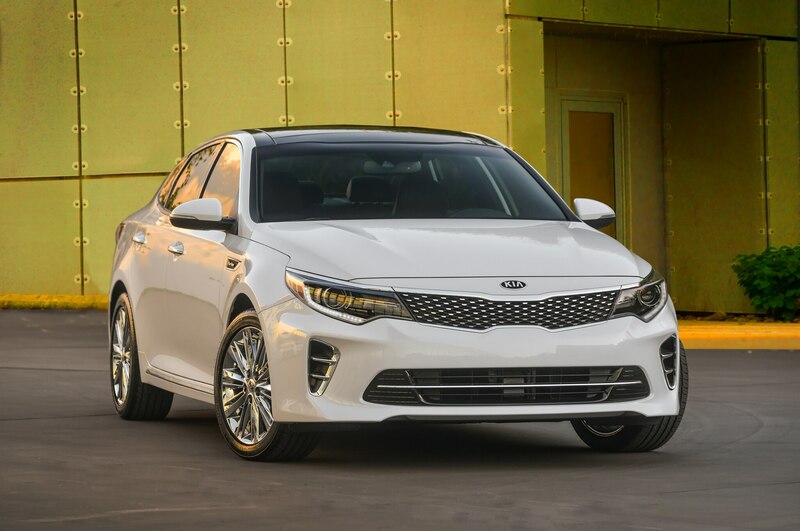 The 185-hp 2.4-liter naturally aspirated four-cylinder and 247-hp 2.0-liter turbo-four and six-speed automatic transmissions mostly carry over, but Kia says it has retuned both engines for better fuel economy and more torque available lower in the rev range. 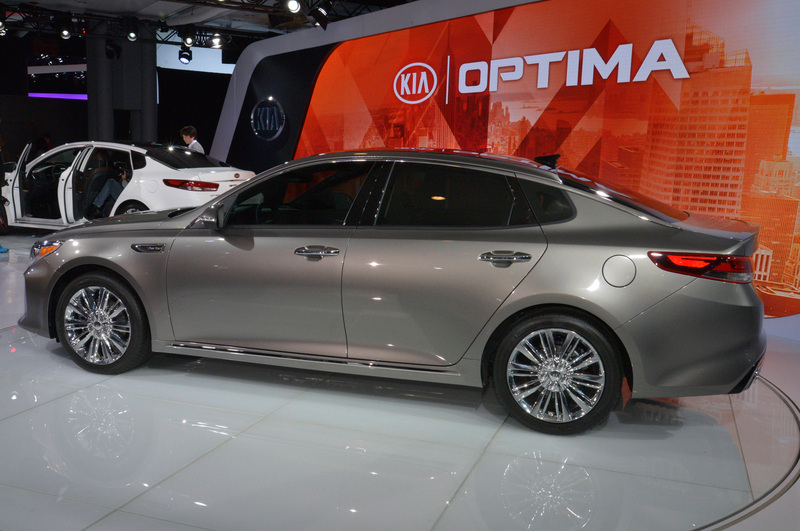 In addition to the engine changes, Kia went to work on the chassis for the 2016 Kia Optima. 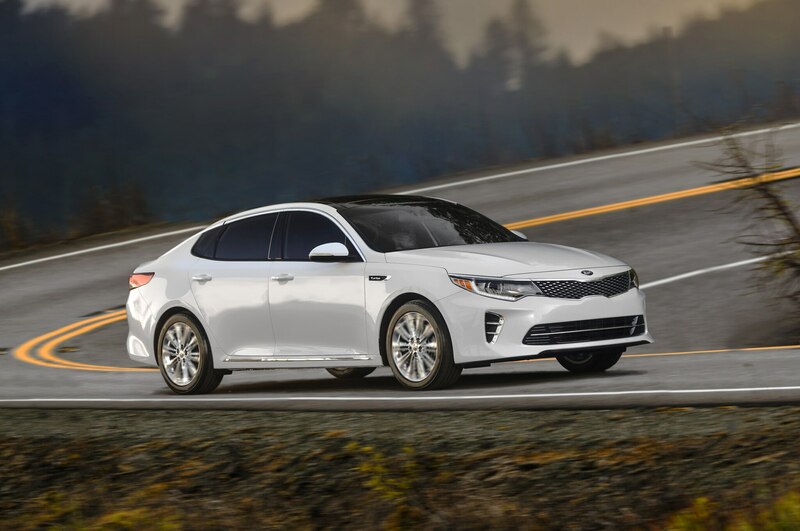 The automaker claims that the lighter and stiffer chassis, combined with new suspension point locations on the front and rear subframes, improves handling, stability, steering response, and ride quality. 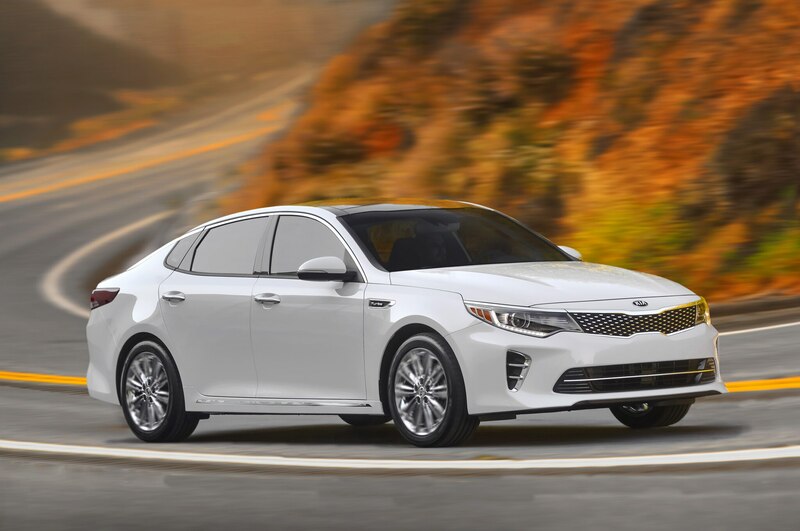 Kia has impressed as of late with its list of available technologies, so it comes as no surprise that there’s no shortage of goodies on the latest Optima. 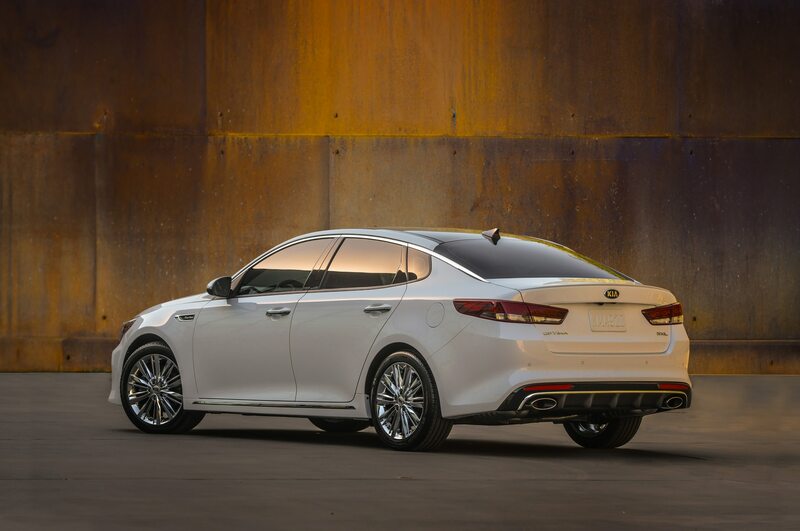 A rear-view camera comes standard on every Optima, while the 360-degree Around View camera feature remains optional. 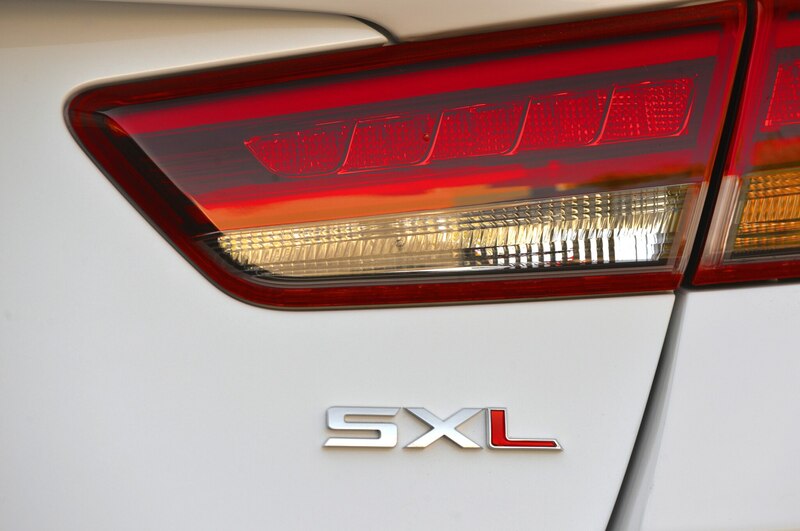 Adaptive cruise control, blind-spot detection, rear cross-traffic alert, and automatic emergency braking technologies are all available as well. 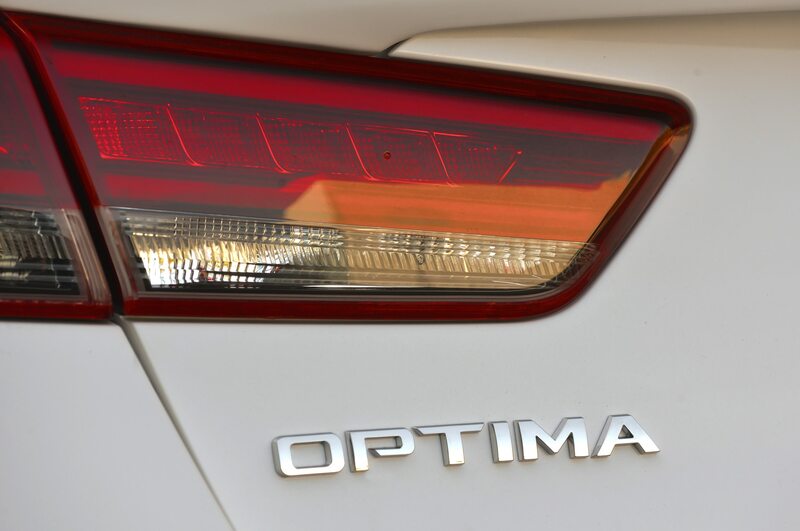 Another premium tech upgrade are the Optima’s new adaptive HID headlights, with both Dynamic Bending and High Beam Assist capabilities. 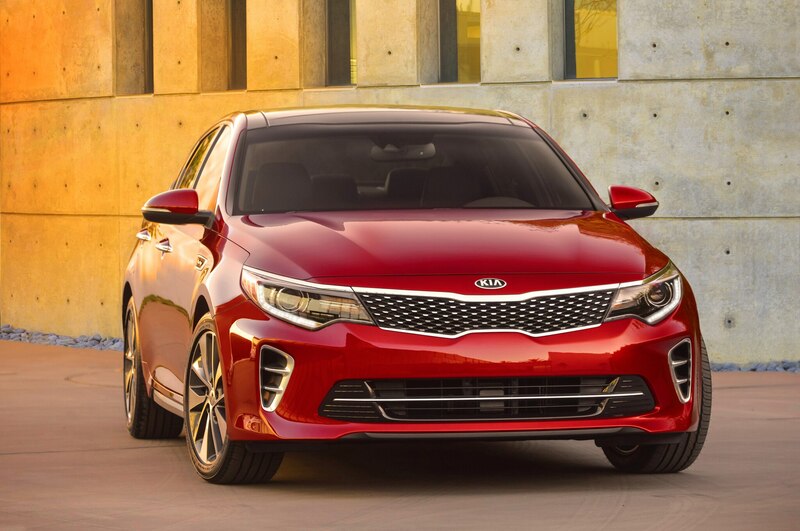 Apple CarPlay and Android Auto, when available, will both be compatible with the 2016 Kia Optima’s infotainment software. 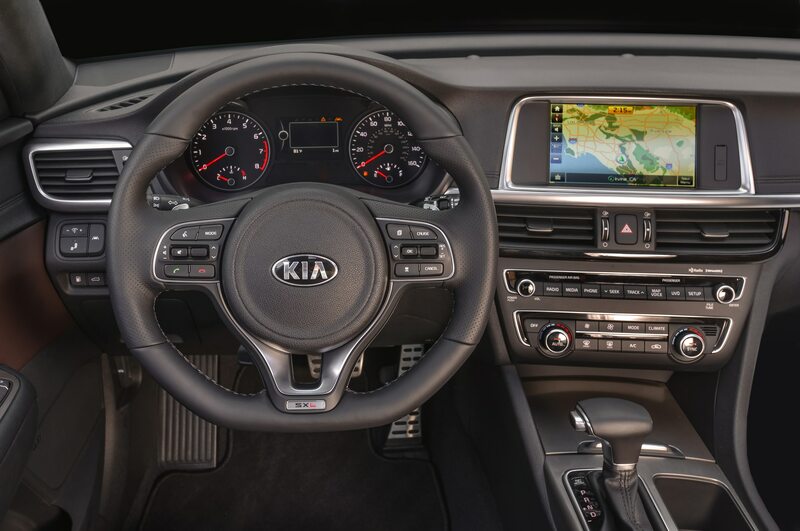 The 8-inch touchscreen will have a wide range of features including navigation, text messaging, and Bluetooth capability. 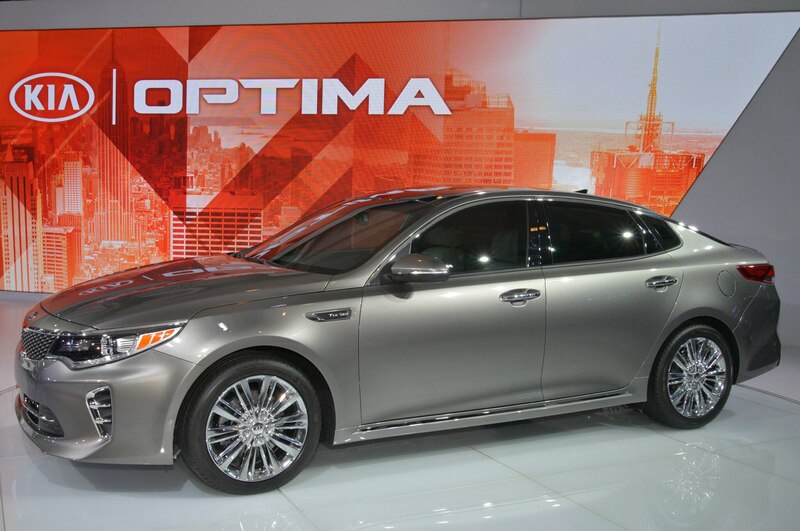 Also available will be a high-end Infinity audio system with Clari-Fi digital audio technology. 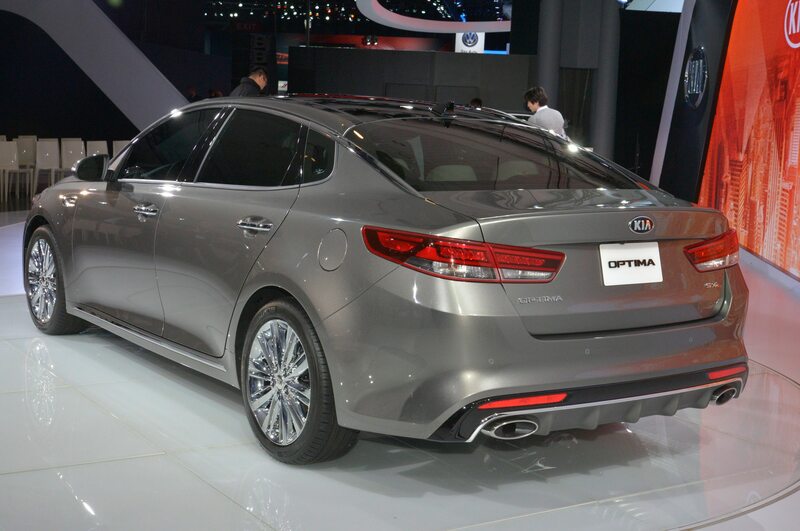 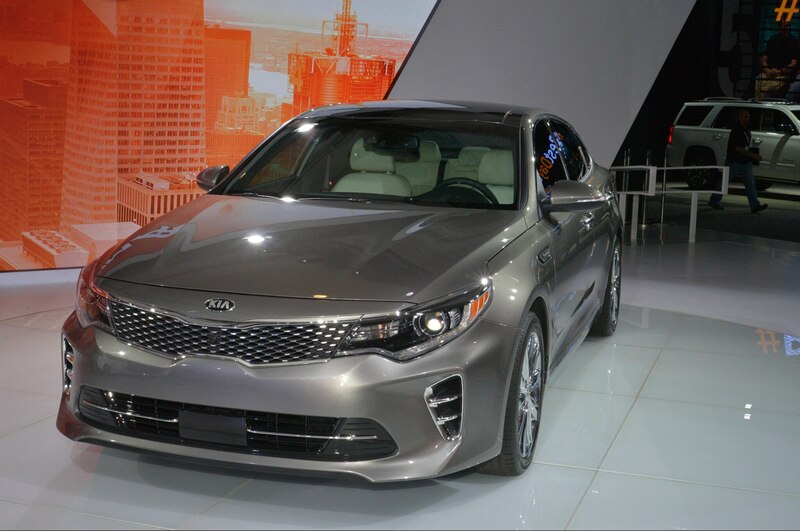 The 2016 Kia Optima is bound for showrooms in the fourth quarter of 2015.